One of OSHA’s primary concerns is the need to protect underground workers. All conscientious excavation companies should be concerned about this as well. A cubic yard of dirt can weigh as much as a car. Knowing this, it is easy to understand the deadly potential of even a small trench collapse. Each year approximately 40 people die in a trench collapse. With the proper use of trench boxes and where appropriate trench shoring this number could be reduced to zero. OSHA sets the requirement for using a protective system to include trench boxes or trench shoring in an excavation at 5 feet deep or greater. This is unless the area of excavation is entirely made of stable rock. Frankly, the stable rock exception is rare in most areas of the country. These requirements have become known as the 5 foot rule, which can be misleading. The confusion is due to the often overlooked requirement for excavations under five feet deep. Concerning excavations under five feet OSHA clearly states, a competent person may determine that a protective system is not required. While following this guideline is keeping within the letter of the law, it may not be the best practice. Serious injury can occur in an excavation much less than five feet. One cubic yard of dirt can way 2,000 lbs. Under the right circumstance even a 3’ trench can quickly become deadly. Iron Lot has you covered with the right trench box for the job! Iron Lot has aluminum trench boxes starting at 3×5 and 4×4. These can be used as either two, three or four sided systems. For smaller excavations, adjustable spreaders from 24-42 inches, or 30-54 inches are often a good choice. 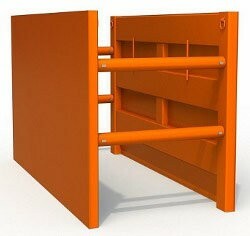 Likewise we offer our steel trench boxes starting at just 4×4, allowing you to stay safe, even on smaller jobs. 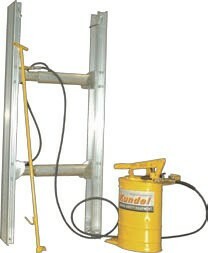 For larger jobs, we also offer a wide range of options. 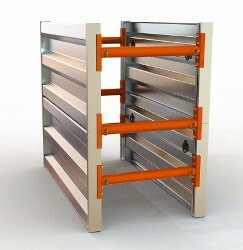 As an alternative to using a trench box, we offer hydraulic aluminum shoring. The Trench-Shore provides flexibility in configuration. For example, when used with Finn-Form Boards, the 4×8 board can be used as is, or cut into a custom size like a 4×4 for smaller excavations. Every year a number of workers needlessly either lose their lives or are seriously injured in a trench collapse. As stated previously, one cubic yard of dirt can weigh 2,000 lbs. Even a partial collapse in a shallow trench can cause debilitating injuries. The resulting legal liability to the construction company can quickly add up. 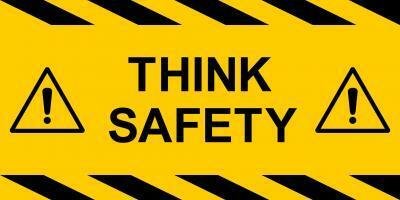 OSHA fines for often exceed the cost of purchasing and certainly exceed the cost of renting. Fines for a willful violation can surpass $100,000. When injury or death occur, the resulting expenses can easily force a contractor out of business. It is far more prudent to plan ahead and insure you and your crew is properly protected. Each story of a worker being killed in a trench collapse is heartbreaking. Perhaps some of the saddest are from family owned and operated companies. They seem to think since they have no employees they do not need to follow OSHA standards. Nothing could be further from the truth. Everyone going down in a trench deserves to have protection. Whether you buy a trench box from Iron Lot, or purchase or rent from another firm, please make sure you have done everything you can so everyone is able to go home safe at the end of the day.